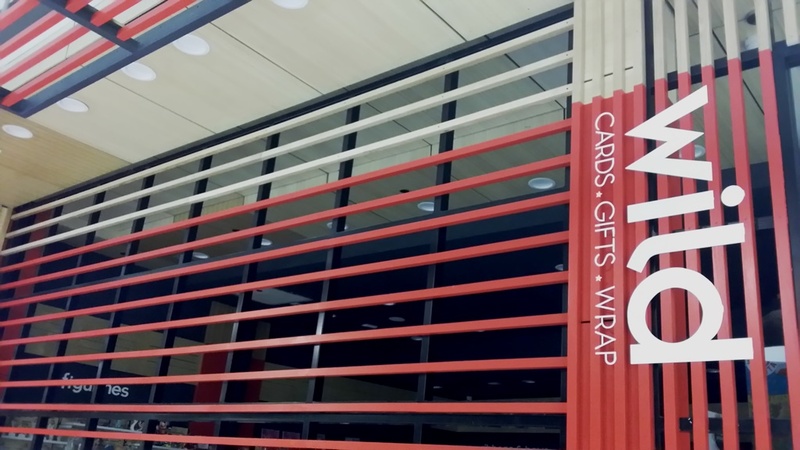 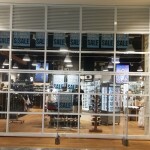 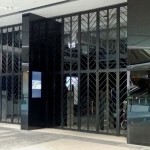 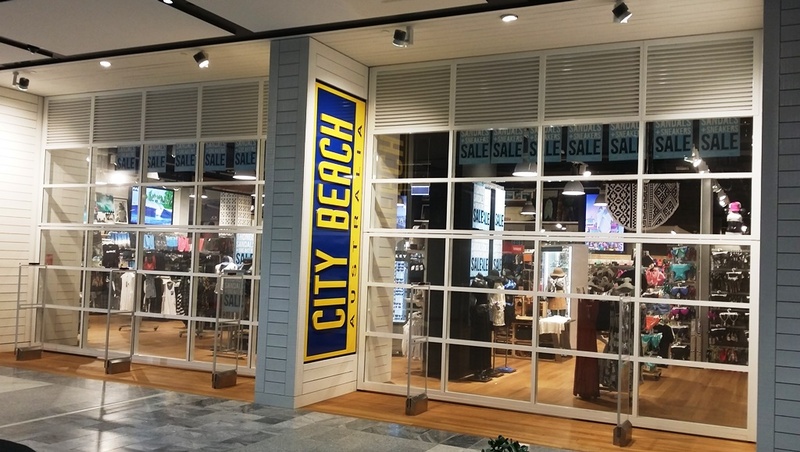 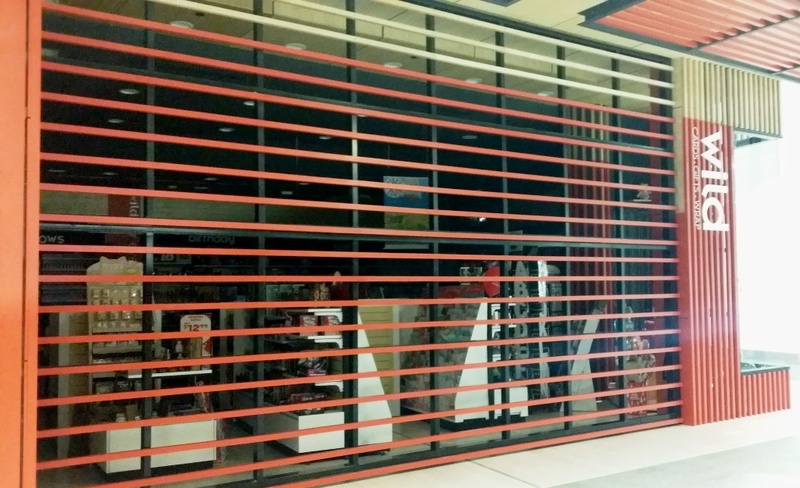 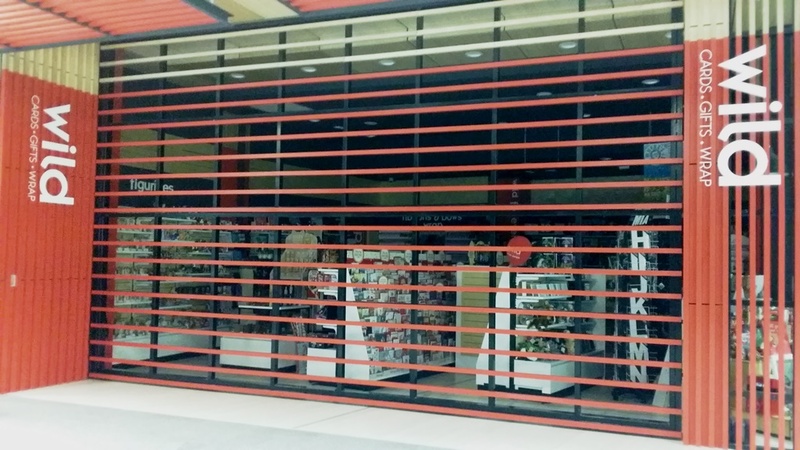 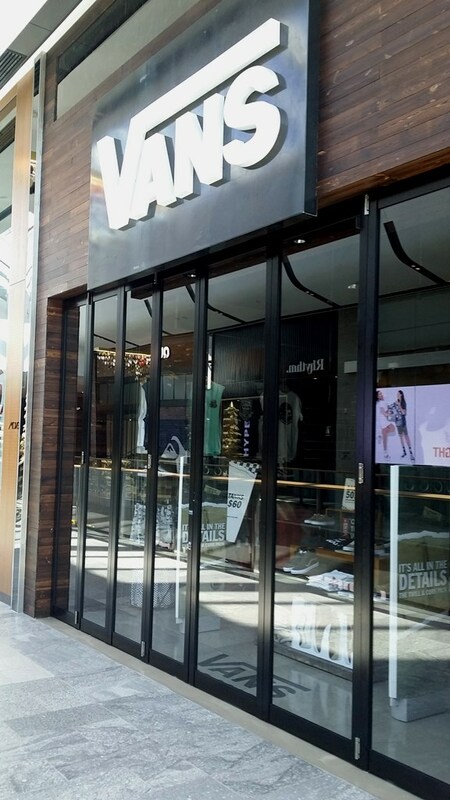 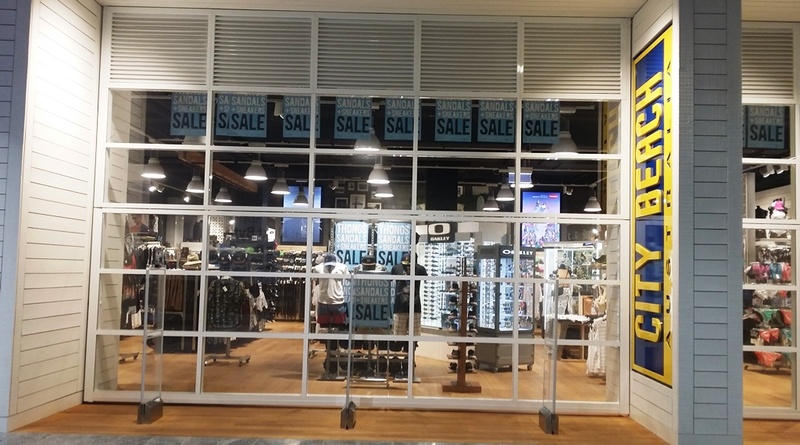 Mirage doors has recently completed the supply and installation of numerous doors at Pacific Fair, Broadbeach as a part of the centre’s $670m revamp. 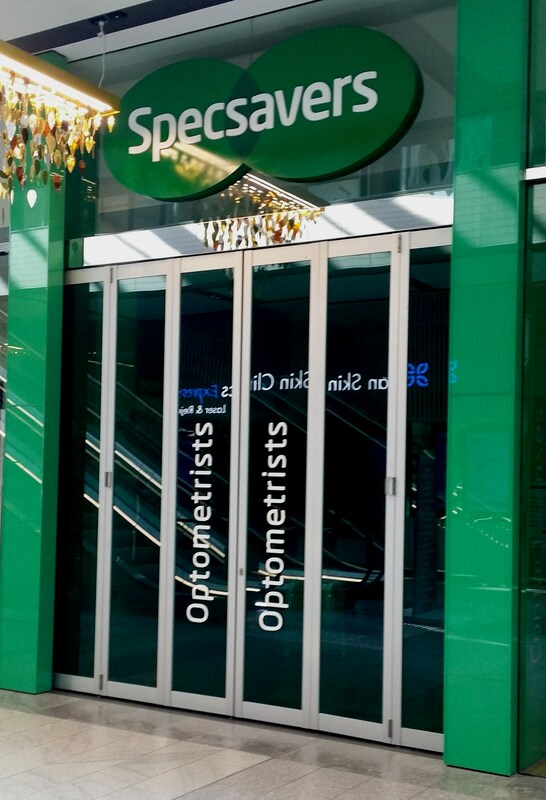 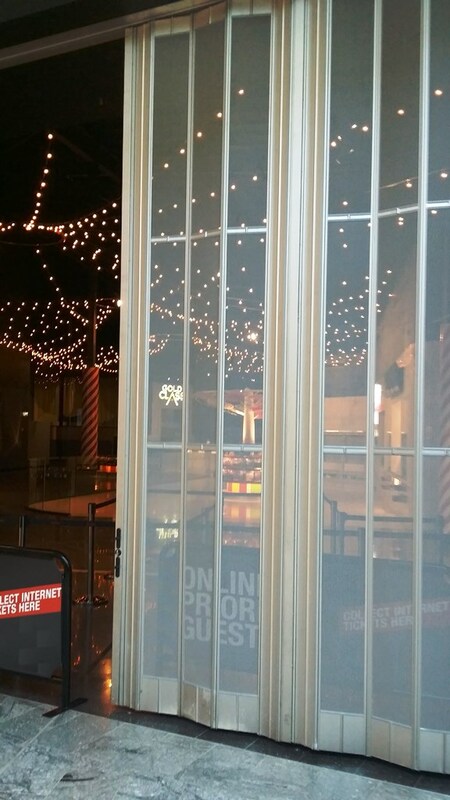 Rebel Sports were supplied with two custom designed Fiesta stacking doors incorporating laser cut aluminium infills. 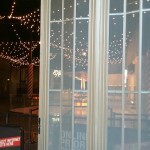 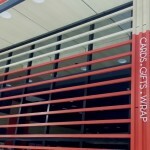 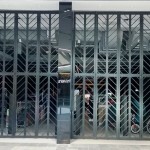 The doors were powder coated to match the shopfront facade, and the end result was outstanding. 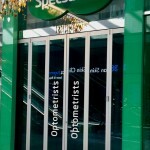 Specsavers and Vans also opted for the Fiesta Stacking Door, but with a more traditional fully glazed design. 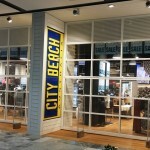 Two Series 3000 Bifold Counterweight Doors were chosen for City Beach, incorporating glazing and louvres for ventilation. 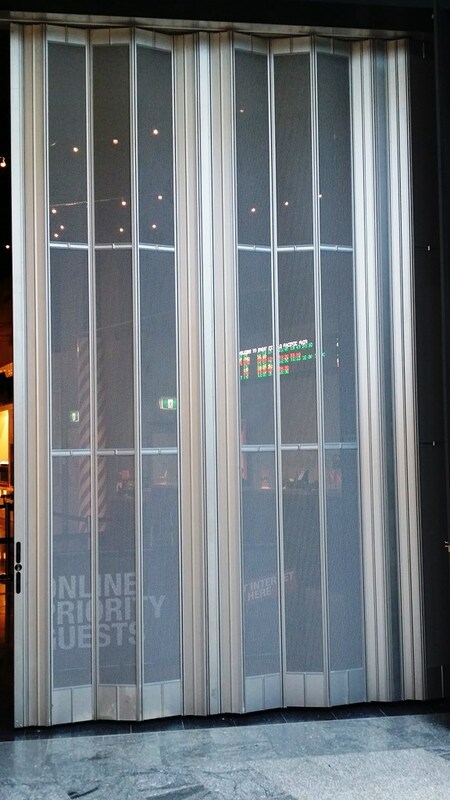 Wild Cards also opted for a Series 3000 Bifold Counterweight Door, but finished with customised timber cladding. 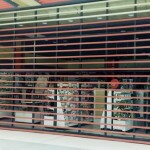 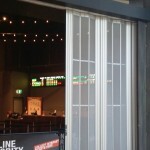 Event Cinemas were supplied our SD300 Folding Closure to suit it’s 16 metre wide opening. 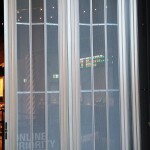 This SD300 was supplied with the Multivent perforated infills, which provide 51% ventilation. 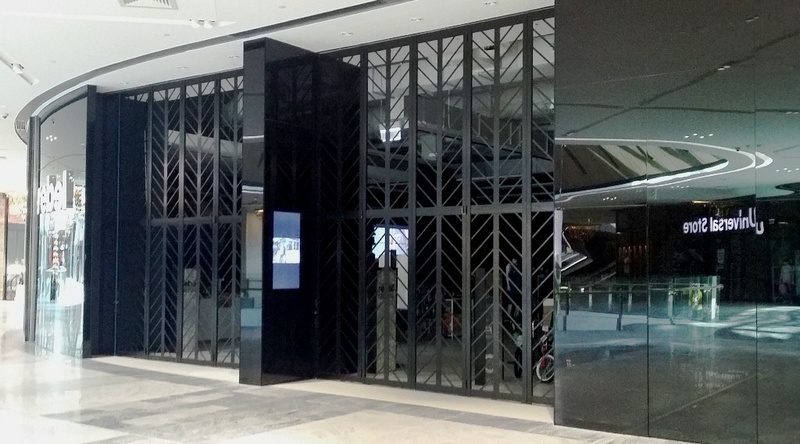 The Pacific Fair project again reflects Mirage’s market leading position in the shopfitting industry, supplying the largest range of quality products incorporating innovative designs.